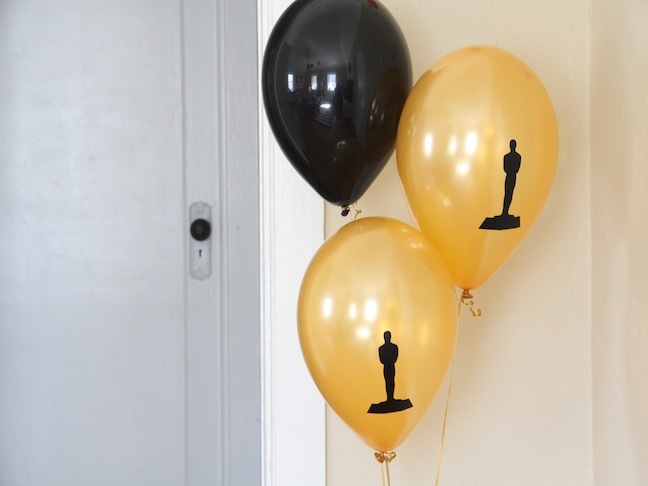 Are you throwing an Oscars party this year? We are, and we are pretty excited for the big night! 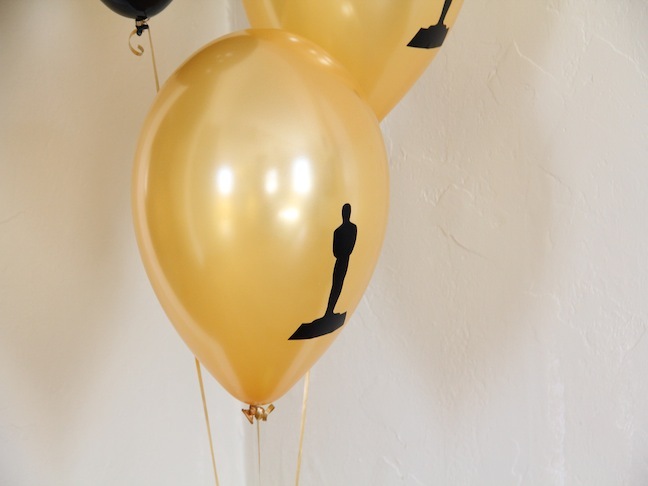 These balloons are so easy to make and will look amazing at your DIY Oscars party this year! Step 1: Print out your template onto card stock and cut it out. I made mine myself and printed them out to be about six inches tall. Keep your balloon size in mind when you are making them! 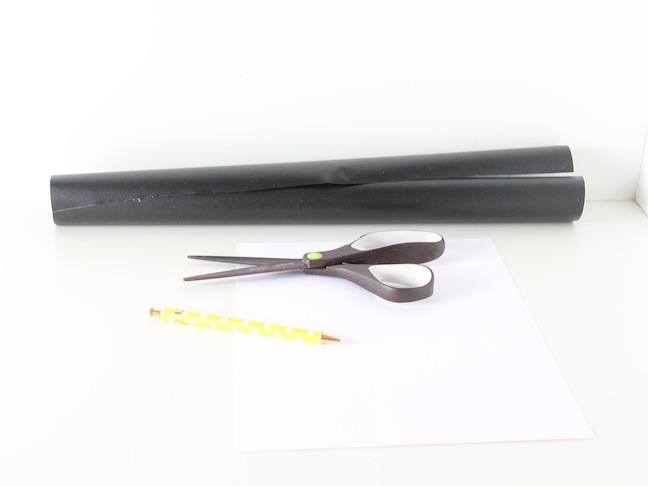 Step 2: Next, trace your template onto the back of the black contact paper. You can use the same template over and over—just keep tracing! 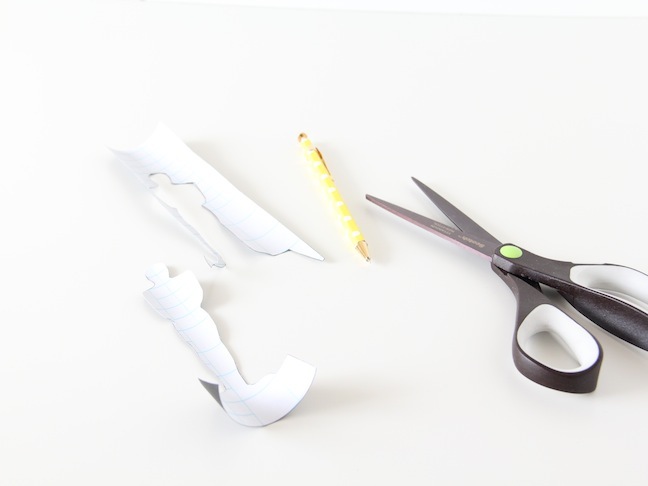 Then cut out all of your little contact-paper statues. Step 3: Peel off the paper backing and place them on the balloons! If you mess up and stick it in the wrong place, no worries. You can easily take it off and reposition it, no problem. 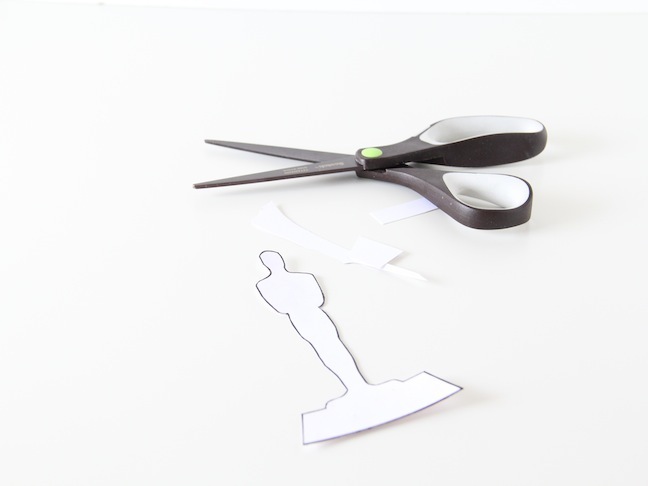 2014 Academy Award Nominees Announced — Full Oscar List!